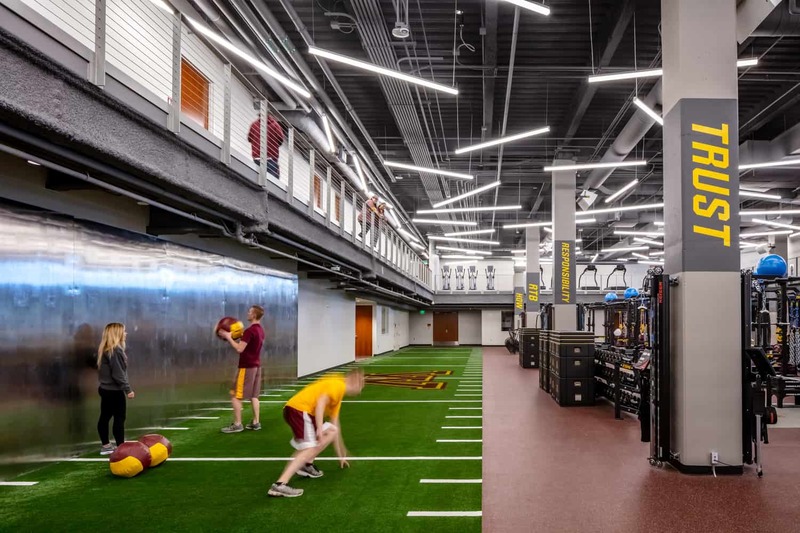 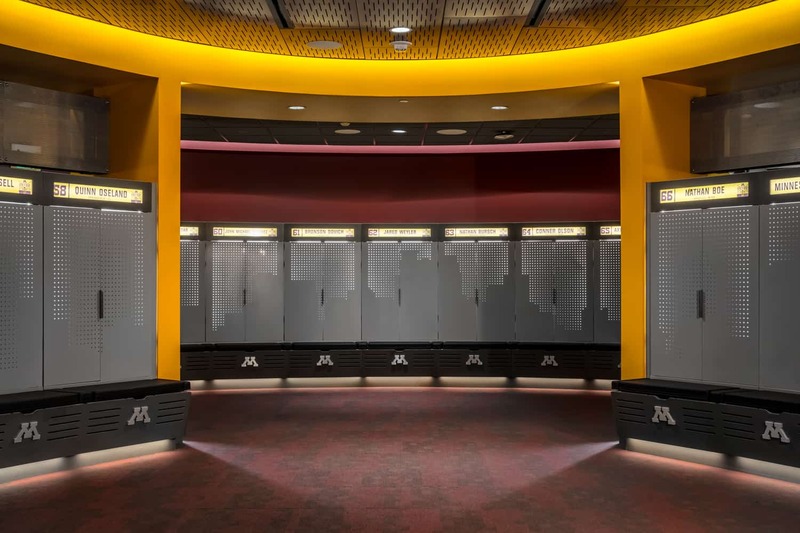 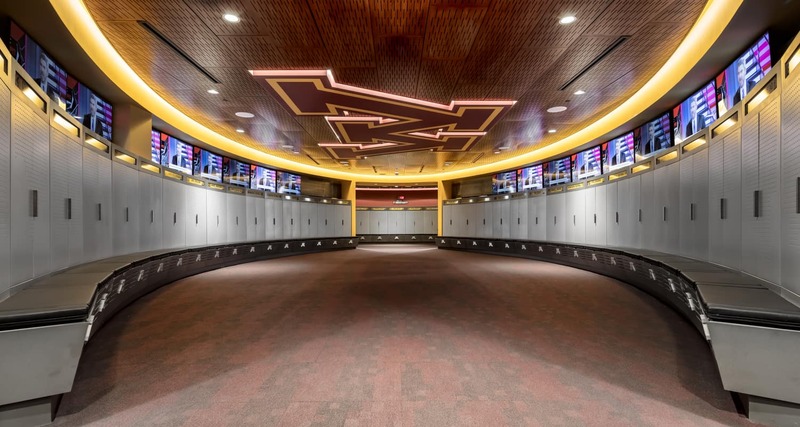 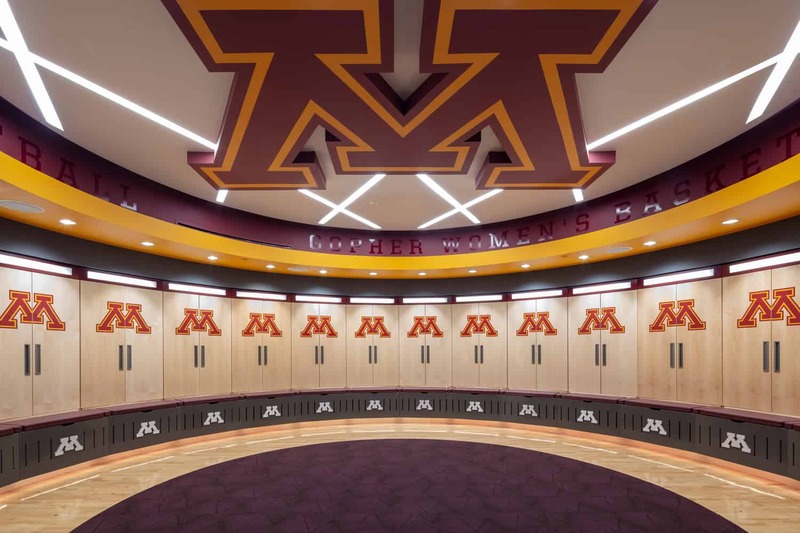 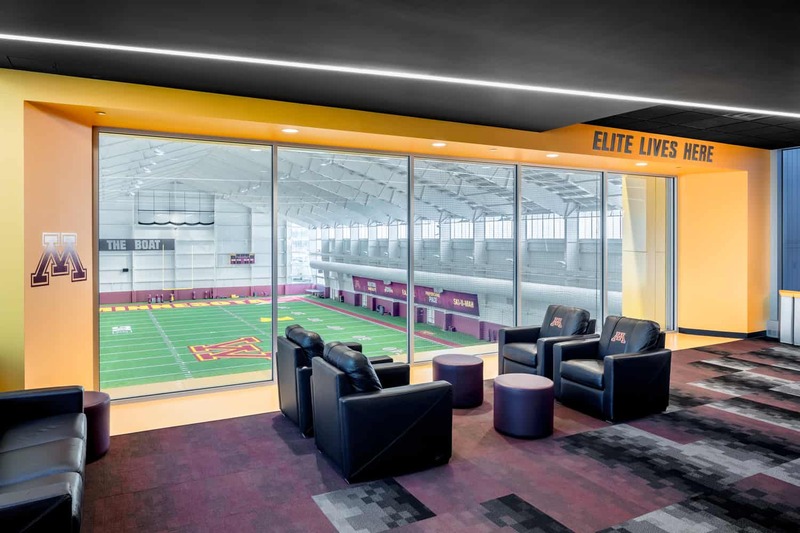 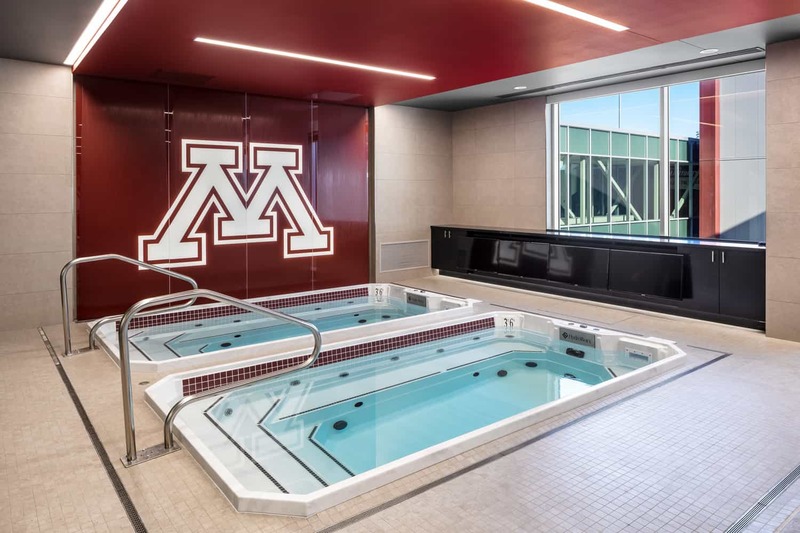 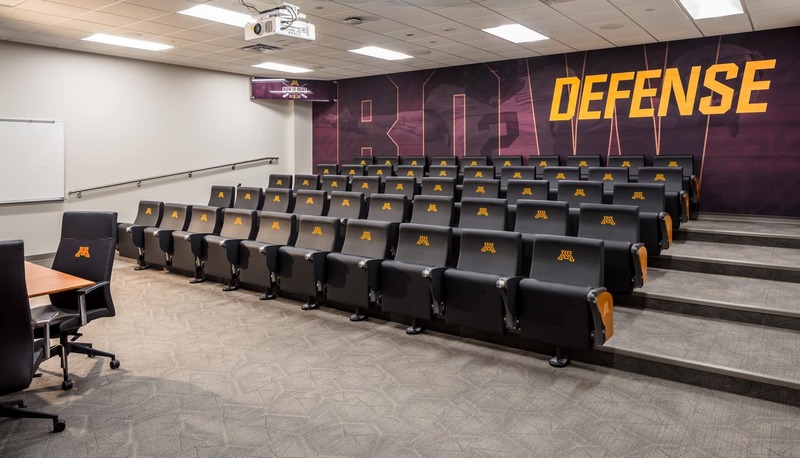 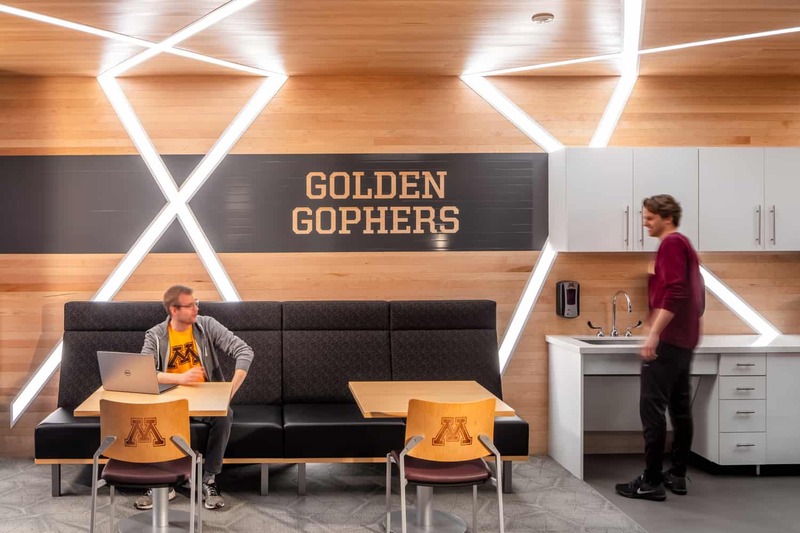 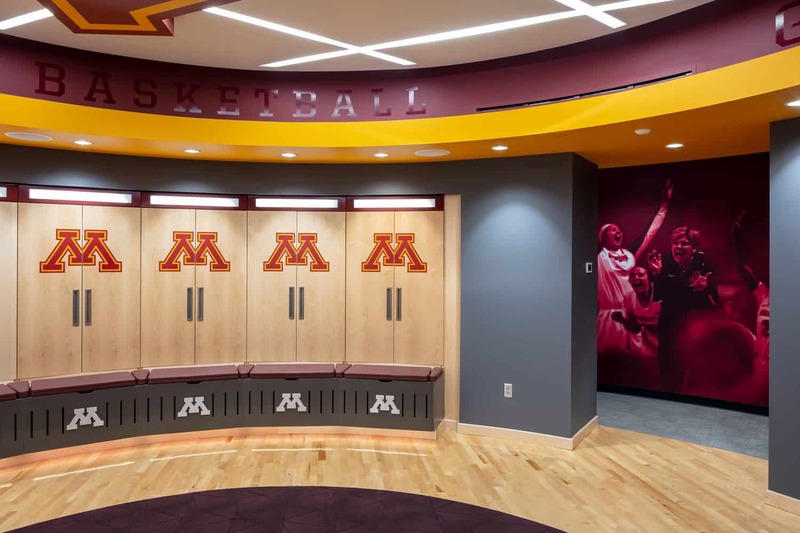 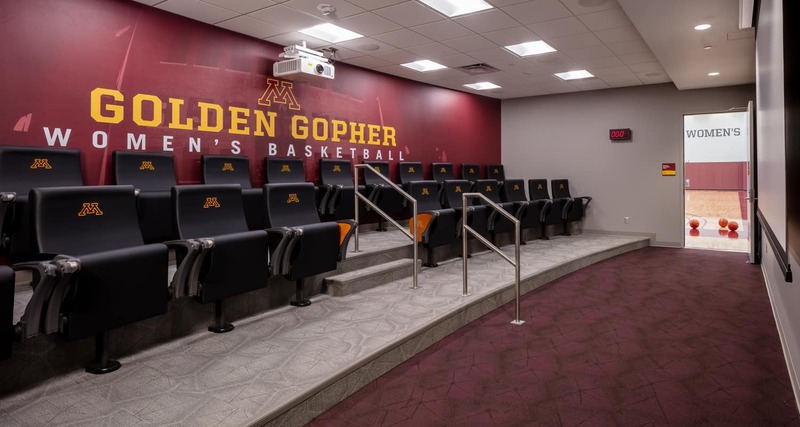 While growing a stable of elite gameday complexes, the University of Minnesota’s training facilities had slowly fallen behind other Big Ten Conference schools and national collegiate universities. 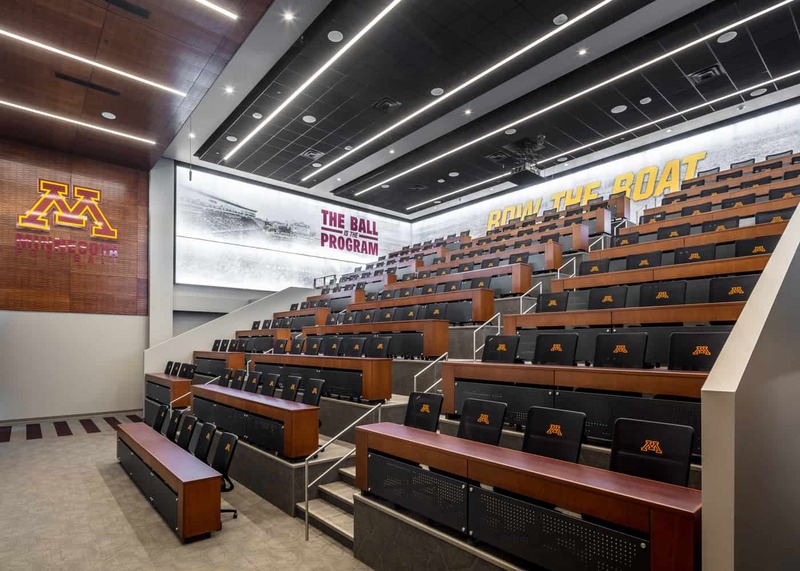 As student-athletic programs grew, so too did the need for larger, modern development facilities and classrooms to provide the 700-student-athlete population a forward thinking approach to education with athletics. 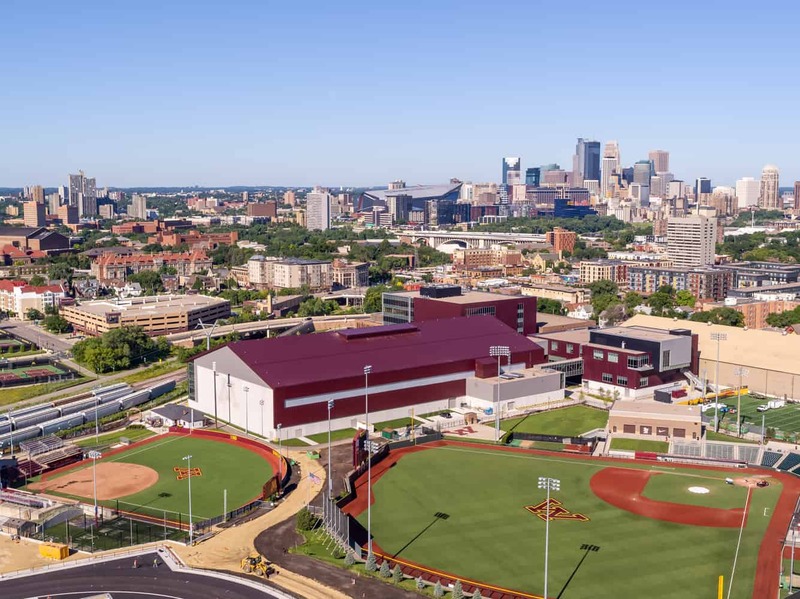 BWBR partnered with RDG to initially plan four phases of updated facilities. 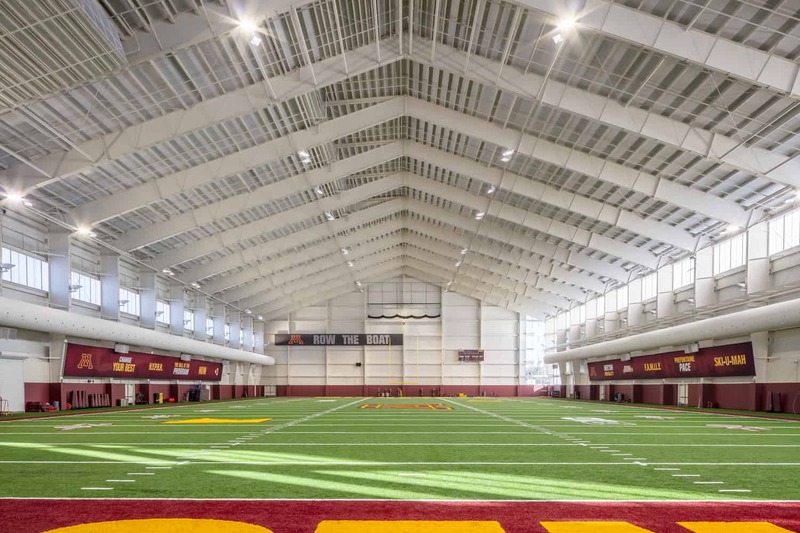 Those phased plans morphed into a single, built at once, state-of-the-art complex. 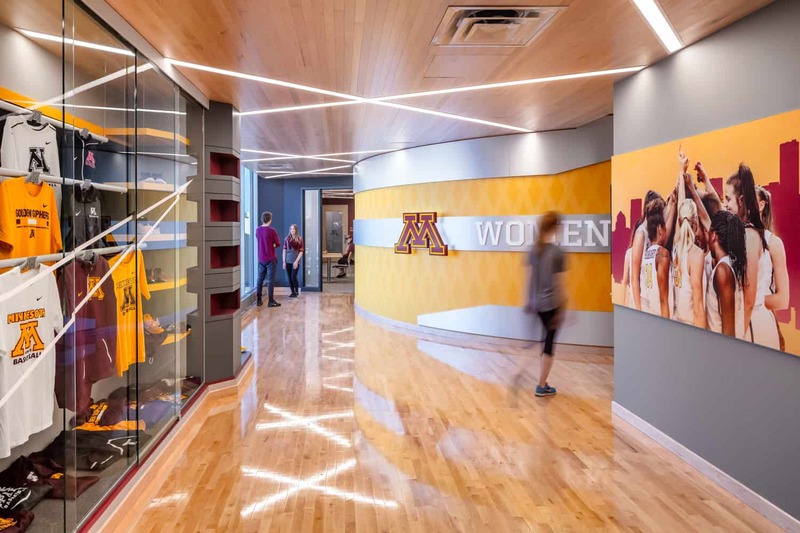 The Athletes Village upgrades development resources for the student-athlete population, which has more than doubled since the original facilities were built over 30 years ago. 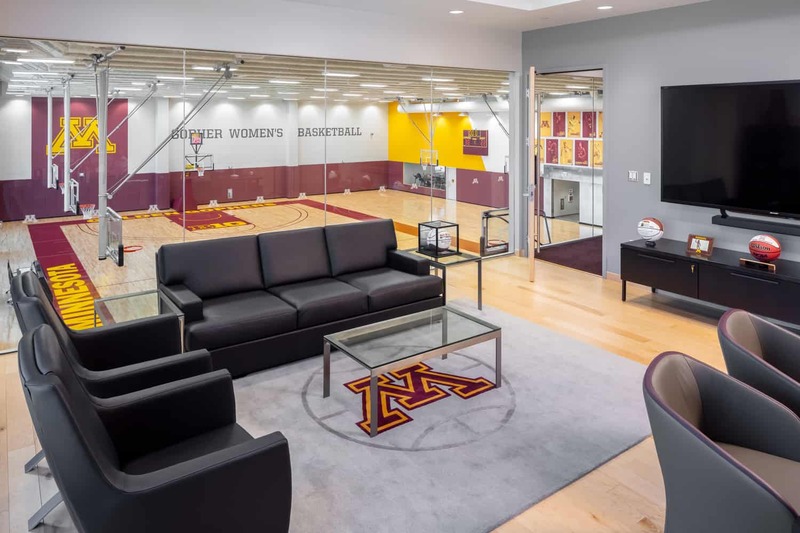 Indoor football and basketball practice facilities and offices are now located in two buildings, creating a focused home for the teams. 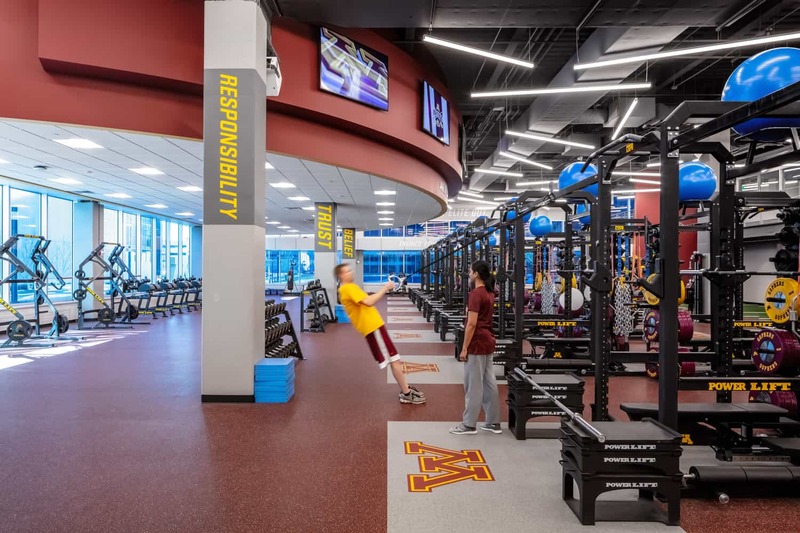 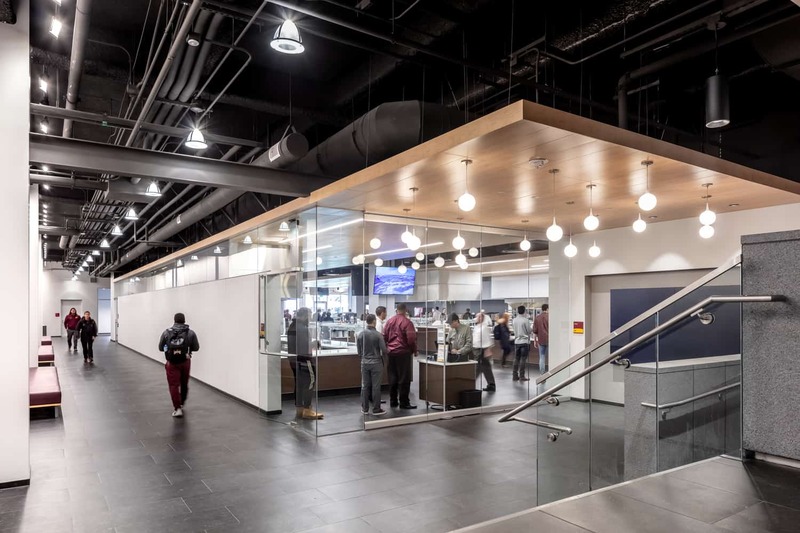 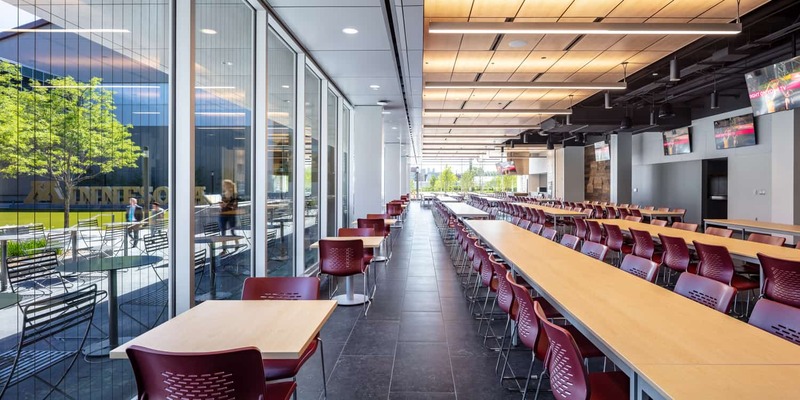 An academic center with technology-enhanced study spaces and the introduction of a formal nutrition center support lifelong healthy living for the entire athletic department. 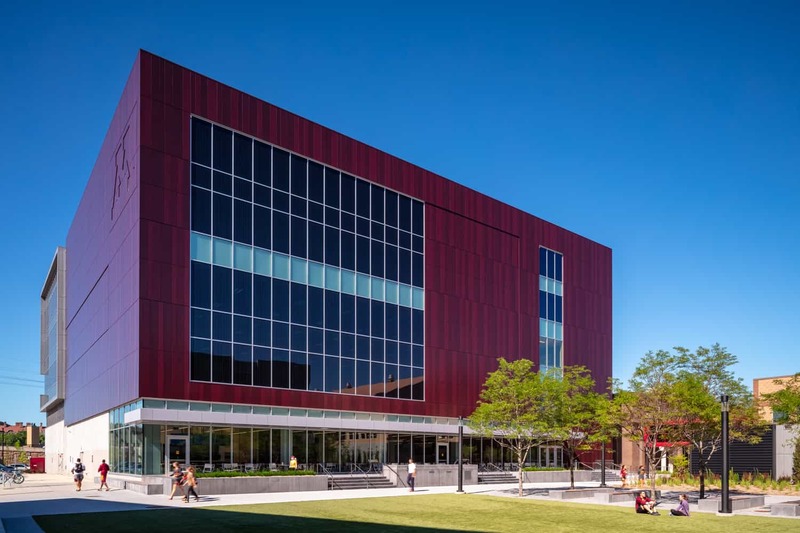 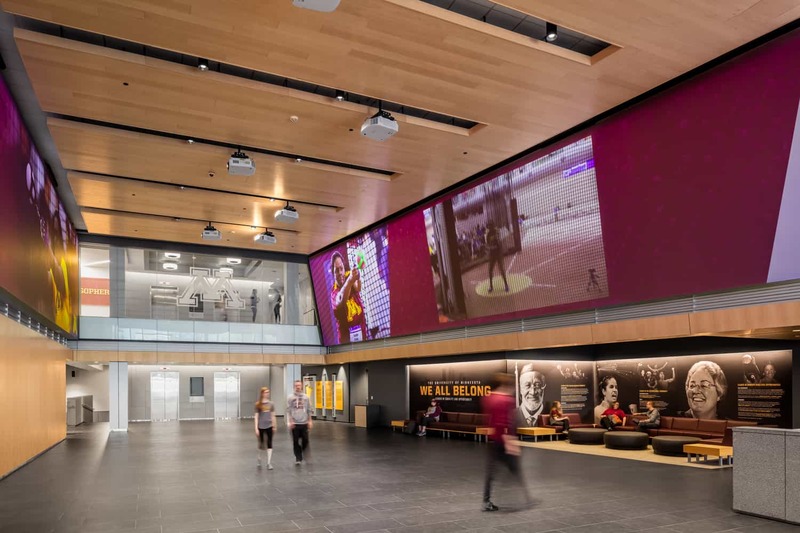 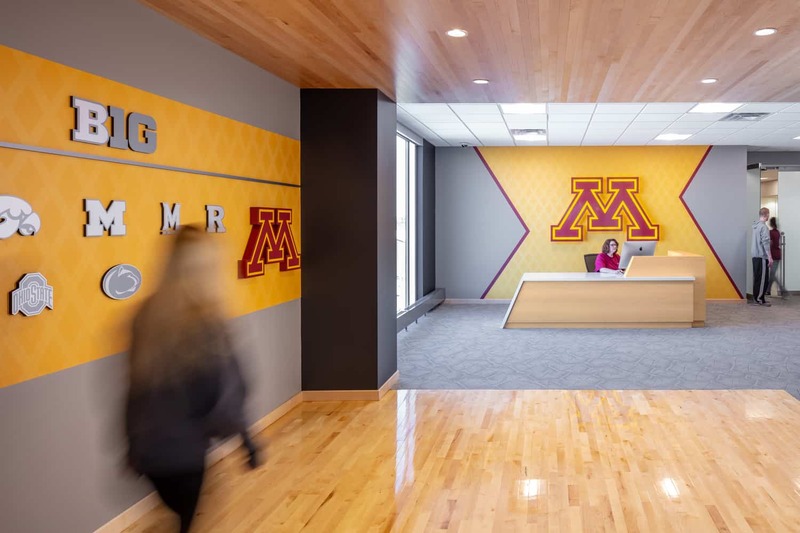 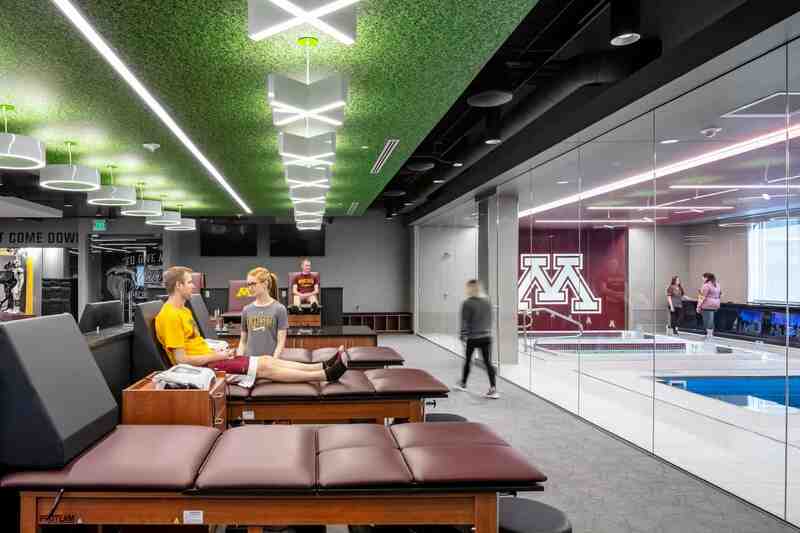 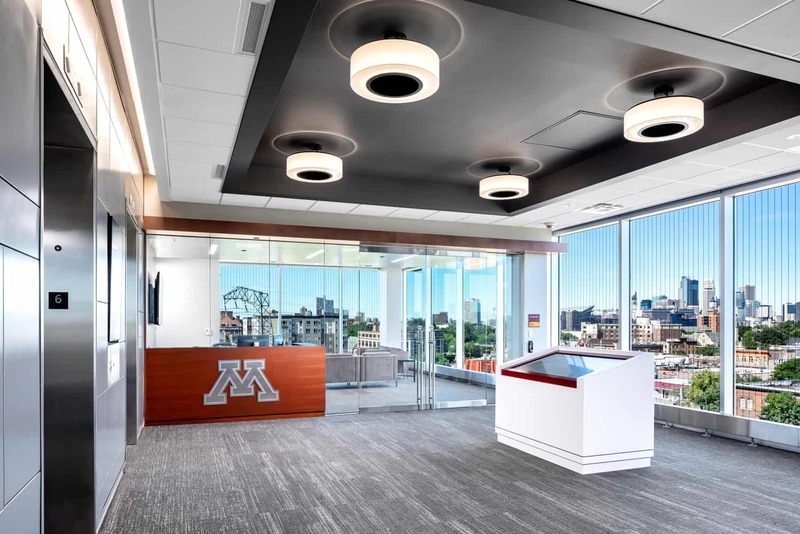 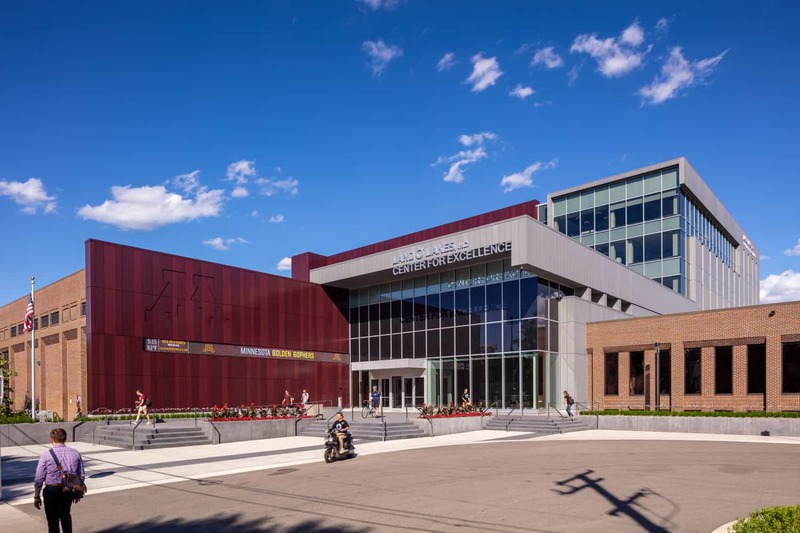 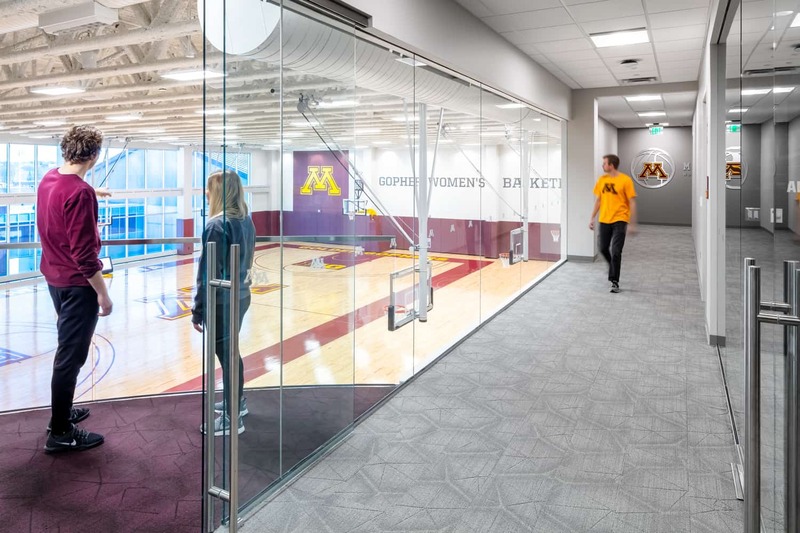 A center for student leadership development as well as performance, the new Athletes Village is an integral addition into the University of Minnesota community.